31 year old Actor-Singer is making his Bollywood debut with upcoming film Udta Punjab which is backed by four-years of research and based around the drug-related problems prevalent in Punjab. The film also stars Shahid Kapoor, Kareena Kapoor, Alia Bhatt in lead roles. 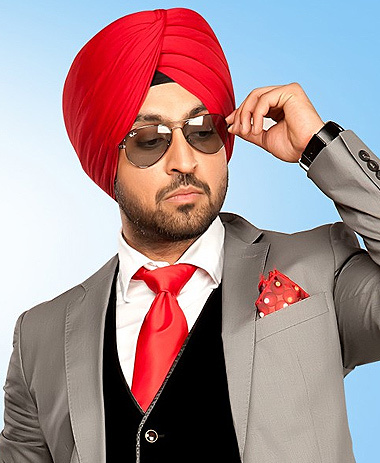 Diljit made his acting debut with Punjabi film The Lion of Punjab. He said he is glad that the makers of Udta Punjab did not approach him to sing because it would have taken the essence out of his character. "In the film, I play a Punjab Police cop. I have played a policeman before in my films but this time the part is very real. There are no tight clothes, no body at display. Abhishek sir has done a research of 3 to 4 years. I did not have to do anything at all. He just asked me to act the way I felt," Diljit said in an interview. It's a dream which came true for Diljit, he have always wanted to work in Bollywood. In Udta Punjab he stars opposite Kareena Kapoor Khan. Diljit said "I just don't have words to describe how I feel about working with Kareena and that too in my debut Bollywood film. I have been her admirer. I thought getting a photograph with her would be an accomplishment, but here I am working with her. She is very dedicated."